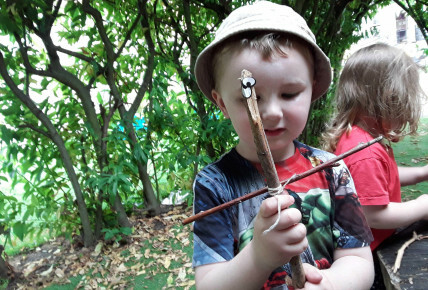 Busy Bees at Sunderland, Fulwell - Stick man! 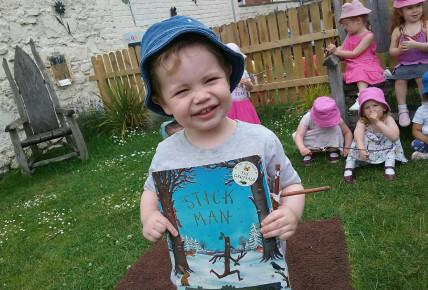 The children in the Butterfly room have been showing an interest in the story book 'stick man'. 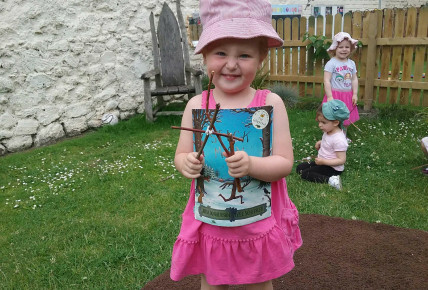 After reading the story outside in the willow we decided to make our very own stick men! 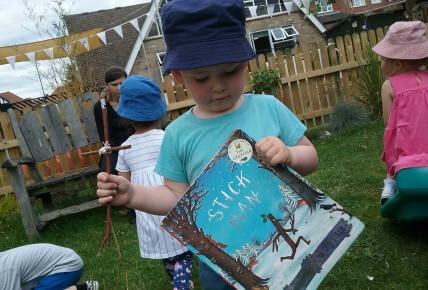 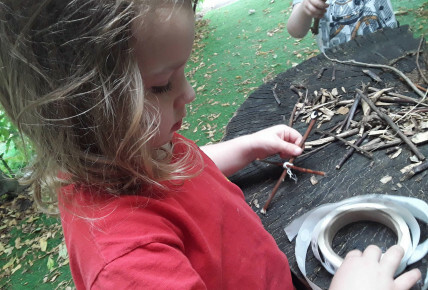 The children tidied sticks together and added eyes, they then recreated their own stories using their stick men!